Bacteria has the virtue (and sometimes the vice) of being able to grow at incredible speeds—some strains can double in cell count in as little as four minutes. Fernan Federici, a postdoctoral student at the University of Cambridge, is pioneering the art of capturing the split-second process. And the results are absolutely beautiful. Federici is part of the Haseloff Lab, at Cambridge, where he and the titular Jim Haseloff work with confocal microscopy to photograph and model the growth of cells in plant tissue. Federici is also interested in how the structure of cells (and the mathematical formulas derived from those patterns) could eventually inform design—and how scientist/designers could control the growth of bacteria to create specific types of structures. "We are experimenting methods of extracting complex behaviors of cells at the scale of microns and applying them to architecture at the scale of meters," explain Federici and his collaborator, the architect David Benjamin in an abstract for a project based on the idea. "We are developing methods for incorporating synthetic biology into architecture design studios and teaching new processes of design with biology." Here, a ratiometric measurement of gene expression in a plant's cellular wall. Bacillus subtilis, a bacteria found in soil, is stained using flourescent proteins, which makes it highly visible. A microscopy of dessicated gels. 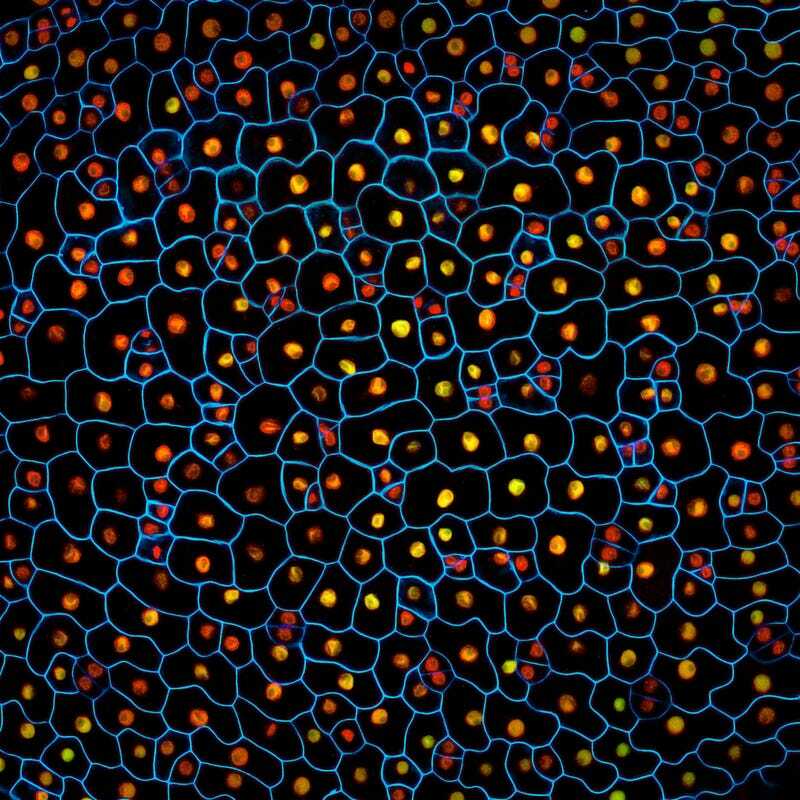 This plant's cellular pattern recalls a Klimt painting. And another image of plant tissue, also created using confocal microscopy. An image from Federici's collaboration with Benjamin, which sought to create cellular models that solved structural problems. The bacteria Escherichia coli, or E. Coli.